In the gleaming academic fortress of the National Centre for Biological Sciences (NCBS) in Bangalore, India, MCB professor Venkatesh Murthy and Advisor/Preceptor Laura Magnotti spent two weeks over winter break giving 25 engineering and computer science students a crash course in something completely different: neuroscience. 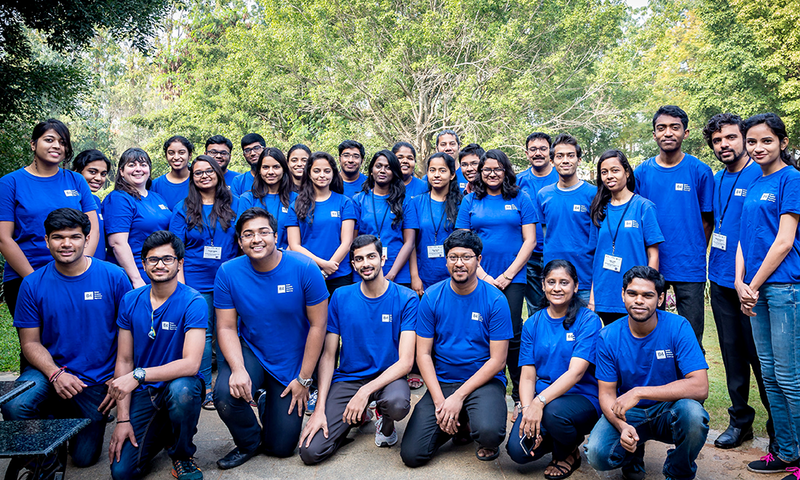 The Boston Bangalore Biosciences Beginning (B4) Program, which is administered by the Mittal Institute and Harvard Global Research Support Centre India, hand-selected the participants from about 150 undergraduate and graduate student applicants from all over India. It is supported by the Government of India’s Department of Biotechnology and the Government of Karnataka’s Department of Information Technology & Biotechnology. Through a series of five daily sessions consisting of three lectures, one presentation by a local scientist, and one hands-on demo that included activities from dissecting a goat brain to recording action potentials from a cricket leg, the students gained a comprehensive knowledge of the field of neuroscience, basic concepts, and how to apply them. 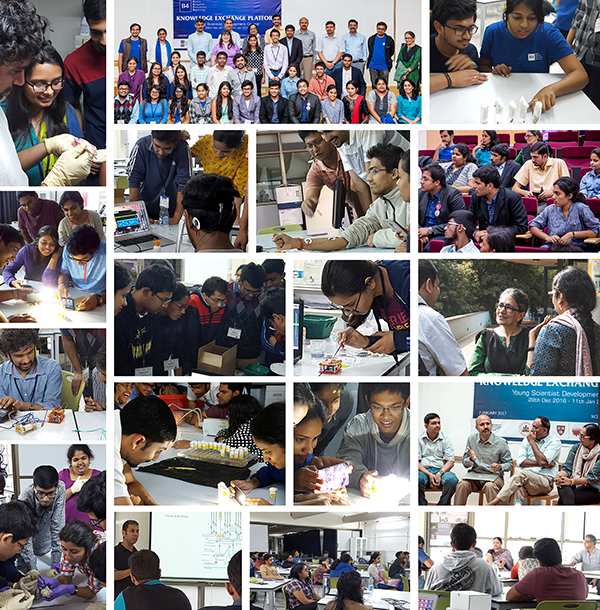 “Teaching this short winter course to smart and enthusiastic students without much of a neuroscience background was gratifying because we could see in real time how excited and awestruck they became about the brain,” says Murthy, director of the B4 program. Why teach neuroscience to students who are committed to degrees in other fields? “The educational system in India is very narrow. There are no general education requirements; once a student enters university, they pretty much only take courses in their declared field of study,” says Magnotti. Murthy himself was educated in that system at the Indian Institutes of Technology: “I only learned about biology as a research endeavor when I came to the US for grad school, and then I ended up making a career out of it. If India’s brightest students don’t know that some of the questions and ideas they come up with can be applied to solve problems in other fields, they might never do that.” The three NCBS PhD students who were teaching assistants for the B4 course – Siddharth Jayakumar, Sahil Moza, and Mostafizur Rahman – agree. “I honestly wish I had access to such a course when I was a curious undergraduate student in India thinking about the brain,” says Moza. Another part of the B4 program involves bringing Indian postdocs to the US for a year to gain exposure to new ideas that they can then bring back to India to further disseminate the benefits of a broader education, as facilitated by Harvard Global Research Support Centre India. “Although a year is really short for carrying out a comprehensive project, my hope is it will still allow bright postdocs from India to gain direct exposure to the way life science research is thought about and conducted here, and to make connections that will benefit them when they return to populate the research ecosystem in India,” says Murthy.